The latest global economic news including an assessment of this week’s market action. At this week’s G-8 Summit held in Northern Ireland, the United States and the European Union agreed to forge ahead with their bold plan to create a free trade area known as the Transatlantic Trade and Investment Partnership. (TTIP) It is also referred to as the Transatlantic Union or the Transatlantic Common Market. 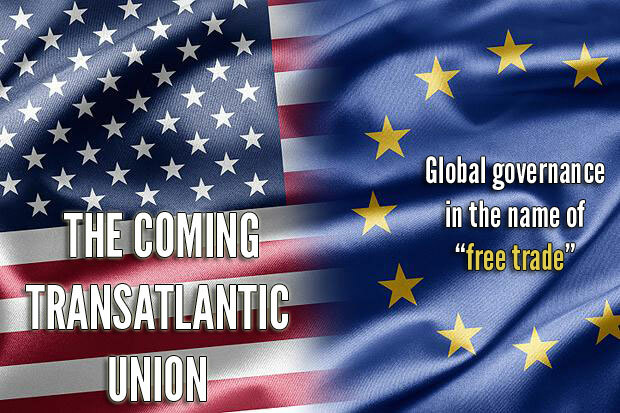 “While the idea of a Transatlantic Common Market can be seen as far back as 1948 in the global security integration of NATO, it first gained major momentum in April 2007 when President George W. Bush approved the Transatlantic Economic Council. This Council is a permanent international body that seeks to provide deeper economic integration between the U.S. and the EU. On April 30, 2007, President Bush, along with German Chancellor Angela Merkel and current EU Commission President Jose Manuel Barroso, signed this agreement without any U.S. Senate or Congressional approval. The Council seeks to harmonize a large number of complex U.S and EU regulations in preparation for a free trade zone by 2015. There have been numerous attempts at commercial integration between the U.S. and the EU. But of course, you cannot have a common market without first creating a system of common standards and regulations. On June 12, FTMDaily issued a real-time “Red Alert” on the markets to all FTM Insiders by email. 1) Cut any weak positions in your portfolio. 2) Protect your gains with tight stop losses. 3) Use Inverse ETFs to make money on the way down. Indeed, the markets did suffer a steep decline on June 20, which was Thursday of last week. Several subscribers emailed to thank us for the “Red Alert” on the markets as they were able to lock in gains and cut losses in their retirement accounts and 401(k) plans just prior to last week’s financial bloodbath. Of course, our unique market timing system deserves the credit. 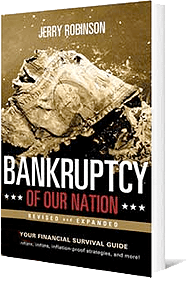 It accurately called the 2008 market crash well in advance enabling Jerry Robinson to move out of U.S. stocks just before the market collapse. 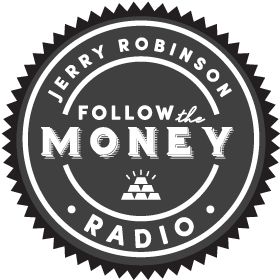 And as we declared in last week’s podcast entitled: Global Economic Outlook 2013: The Return of Volatility, Jerry Robinson warned listeners it was time to prepare for another massive wave of volatility. This turned out to be a very accurate forecast as the Volatility Index (Ticker: VIX) rose a stunning 27% on Thursday of last week! For the week, the Dow fell 1.8 percent, the S&P 500 declined 2.11 percent, and the Nasdaq lost 1.94 percent. AT&T was the worst performing Dow component for the week, while Cisco climbed. All ten key S&P sectors ended in the red for the week, with utilities and telecoms leading the decline. What caused the markets to decline so sharply last week? You can thank Mr. Ben Bernanke & Co. at the Federal Reserve. Later, Tom Cloud provides his latest investment guidance on gold, silver, palladium, and platinum. Listen to Tom’s full discussion in this week’s Precious Metals Market Update. In this week’s Retirement Minute segment, veteran retirement specialist John Bearss exposes two more myths about Social Security. These myths include: “Social Security is only a retirement program” and “If you earn money after you retire, you’ll lose your Social Security benefit.” John explains why these myths are not true and provides wise counsel for those nearing retirement. Do Christianity and Capitalism Mix? What is the Christian view of capitalism? 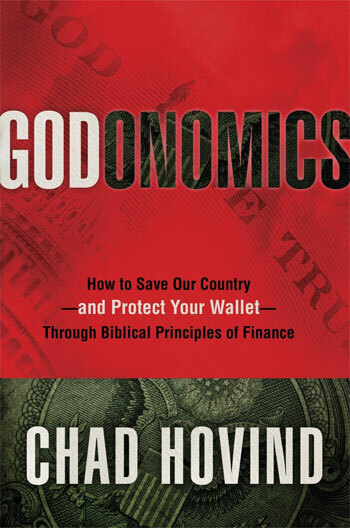 Is the economic system of capitalism God’s original intent for mankind? Aren’t all man-made economic systems simply “coping mechanisms” that humans have created in order to deal with the problem of scarcity? Is the act of redirecting our nation back to its founding principles the same thing as promoting the kingdom of God?This is an entertaining and enlightening interview. Don’t miss it!